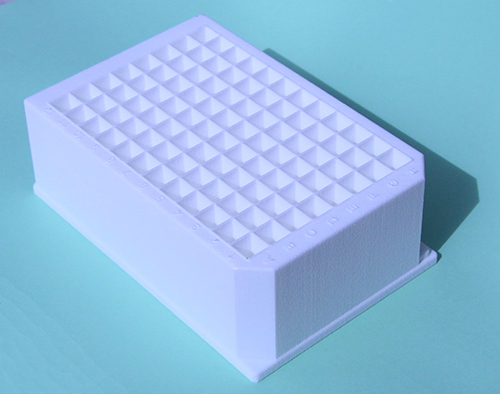 A new specialist microplate for genomics sample preparation has been launched. Designed with thickened walls and strengthened ribs underneath to stop cracking or leaking when used in Geno/Grinder or Tissulyser machines the 96-well 2 mL deep well Genomics Sample Preparation Plate is perfect for high-throughput genomics sample preparation. Manufactured from high-grade, ultraclean polypropylene samples the new Genomics Sample Preparation Plate has been tested at the National Centre for Mass Spectroscopy Excellence at Swansea University and has been found to be free of measurable leachates/extractables as determined on their most sensitive time-of-flight MS instruments.